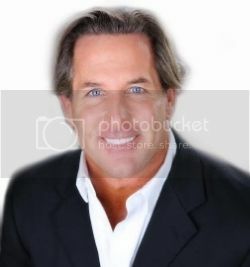 Gregory Casey is a venerated Facial Cosmetic, Maxillofacial and Oral Surgeon, currently residing in the Naples, Florida area. Since 2007, he has served as the Medical Director at Casey Oral & Facial Surgical Arts. Additionally, he serves as the Medical Director the local facial spa, Rejuv. After growing up in Long Island, New York, he chose to attend the University at Buffalo for his undergraduate studies where he earned a B.A. in Biology. Initially interested in becoming an orthodontist, he was admitted into the School of Dental Medicine at the University at Buffalo. His sights then turned to surgery as he went on to pursue externships in Oral and Maxillofacial Surgery at the Hospital of the University of Pennsylvania, the University of Miami, Jackson Memorial Hospital, and the University at Buffalo. From 2000 to 2001, he completed his internship in Atlanta, Georgia at the Emory University School of Medicine. He then chose to complete his residency at the Columbia University College of Physicians and Surgeons in New York City from 2001 to 2005. In 2004, he served as the Chief Resident. Growing up, Gregory Casey quickly discovered his love for music. However, he did not begin playing an instrument until the age twelve when he first began experimenting with his cousin’s drum set. His passion and his skill for drumming and music, in general, was immediately obvious. Over the course of the next few months, he worked hard to save enough money as the neighborhood paperboy to purchase a drum set for himself. During these years, he progressed not only as a drummer, but as a musician learning to play the guitar as well. While in high school, Gregory developed a love for heavy metal music and eventually was a founding member of his own band, Black Widow. He continued to play, albeit less often, throughout his educational years while working tirelessly to accomplish his dreams of becoming an oral surgeon. Most recently, he has been a part of two bands including Midnight Moxy, which plays primarily top forty hits and Mighty Quinns. He considers Tool, Sound Garden, Pearl Jam, Rush, and Metallica to be amongst his favorite bands and those that have most heavily influenced his own playing style. Gregory is especially a fan of Danny Carey, the drummer from Tool. Although busy with his career, Gregory can always make time for playing music with his friends. Outside of his busy career, he also enjoys flying, playing soccer, staying fit, and spending time with his wonderful family.